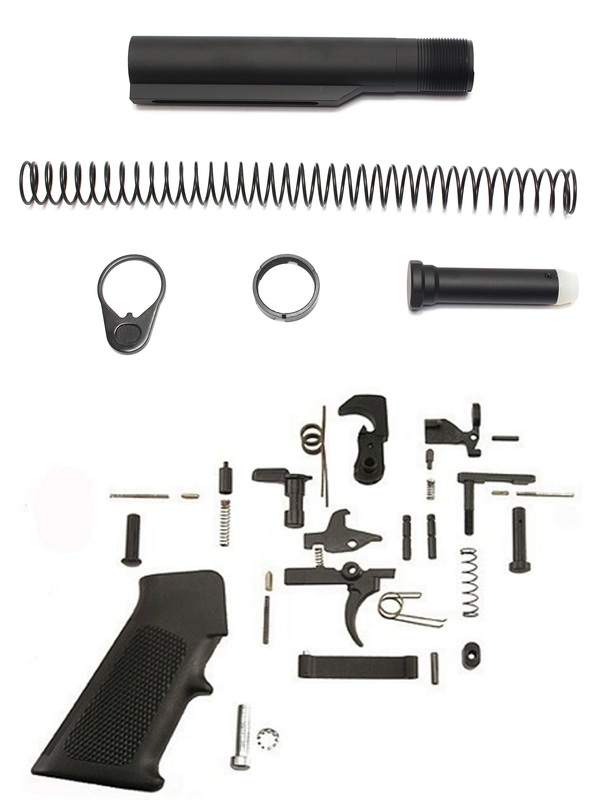 Davidson Defense lower build kit includes all the parts needed to complete your lower. This kit includes a standard right hand safety selector. This exact kit is used by over 26 major AR-15 manufacturers for their OEM choice buffer tube parts kit used for all of their guns. Pick the buffer tube kit so many gun manufacturers have chosen for their guns. This kit is supplied to over 9% of all of the United States production made AR-15 rifles, the most of any buffer tube kit made. Manufactured by a major firearm parts manufacturer!